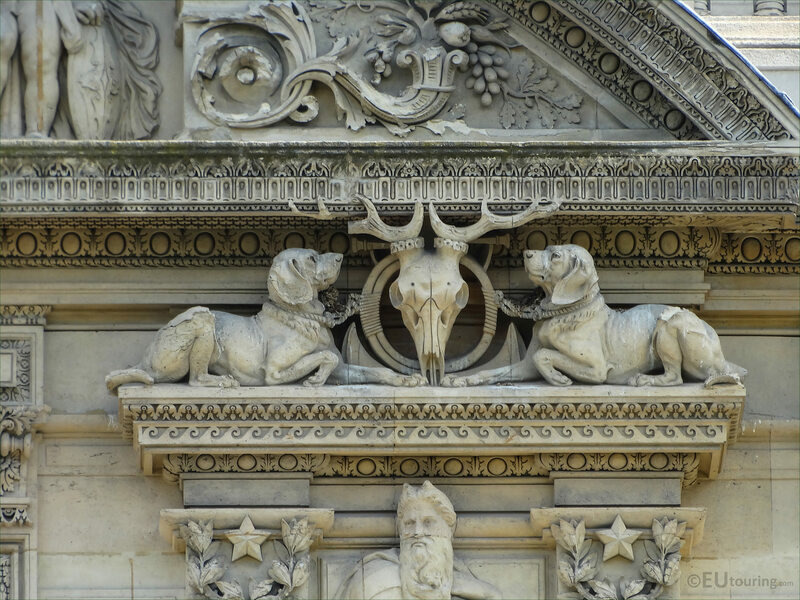 This time while we were at the Musee du Louvre in the 1st Arrondissement of Paris, we took these high definition photos showing a statue group called the Groups of Animals, which was sculpted by Paul Edouard Delabrierre. 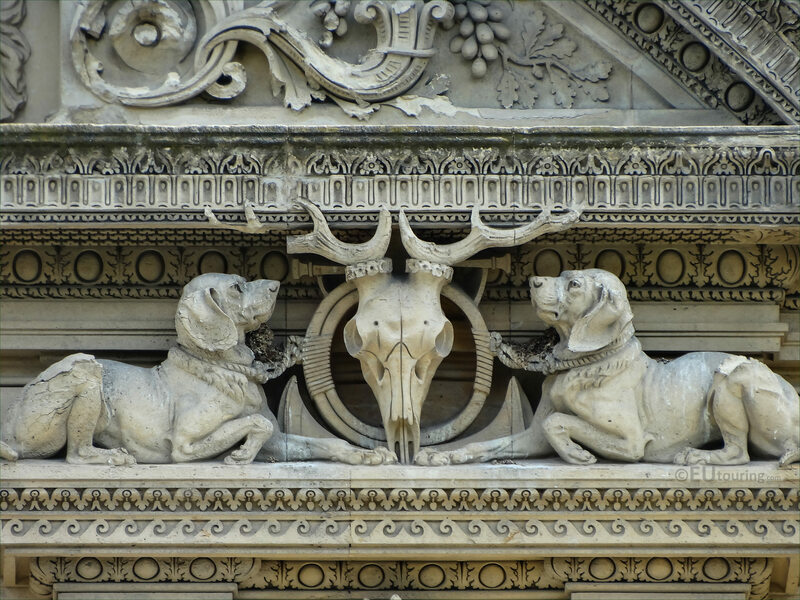 Located on plinths above bas relief sculptures and below the pediments on the Aile de Flore, you will see different statue groups referred to as Groups of Animals and this particular set shows two dogs either side of the centre feature being a skull of a stag. 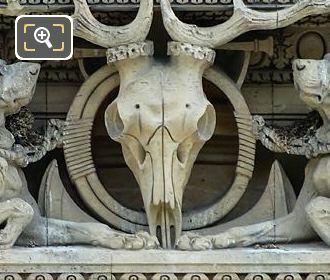 So when you are looking at this wing of the former Palais du Louvre, you will see this is positioned to the right hand side of the fourth window on the third level, as you are counting from the left hand side of the facade, which can be seen from the courtyard called the Cour du Carrousel. Now this particular set of Group of Animals was sculpted by Paul Edouard Delabrierre who was born in Paris in 1829 and studied to become a French sculptor, specialising in statues of animals, so hence why he was one of the artists chosen for this statue group on The Louvre. Many of the works produced by Paul Edouard Delabrierre were statuettes depicting animals, often wild animals in scenes of struggle or real life scenarios, and presenting works at the Paris Salons for fifty years from 1848 through to 1898, numerous statues of his are now owned by private collectors, although some are displayed at the Musee de Picardie in Amiens, France.